I prefer pears to apples! The juicy sweetness and lovely biting texture make for such an irresistible fruit! 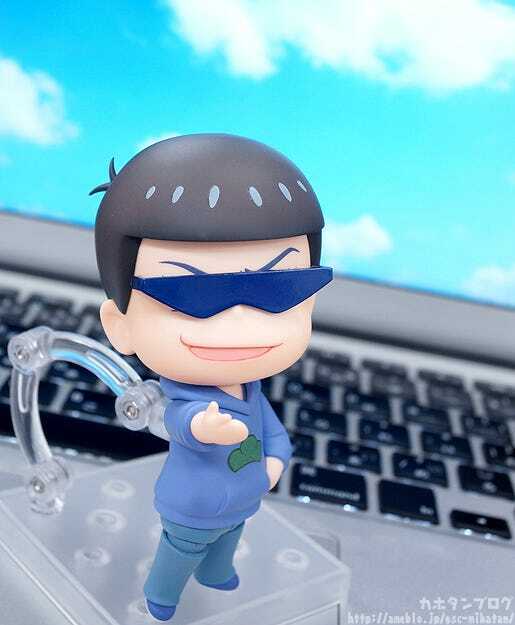 From the popular anime series ‘Osomatsu-san’ comes a Nendoroid of the second son of the Matsuno family, Karamatsu! He comes with a smiling expression, an expression trying to act cool as well as a blank expression with a variety of different stickers for you to create your very own expression! Optional parts include a hand mirror, sunglasses and a variety of different hand and leg parts to allow for all sorts of different poses! 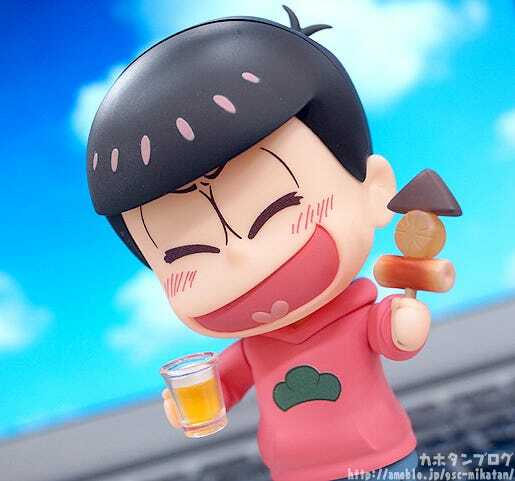 Be sure to display him with his other brothers who are planned to be released as Nendoroids! 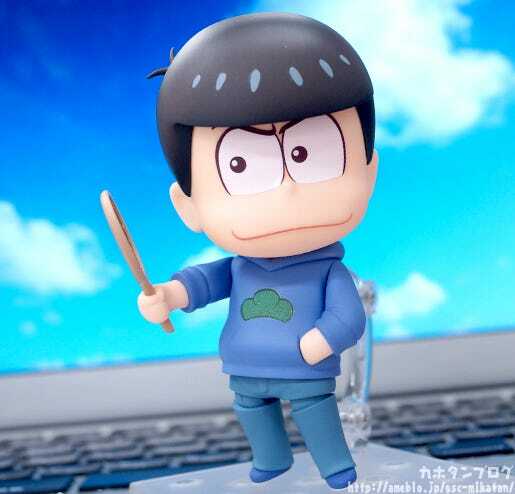 He even comes with a hand mirror to quickly ensure he is looking like his normal cool self! The mirror actually makes use of a reflective material! 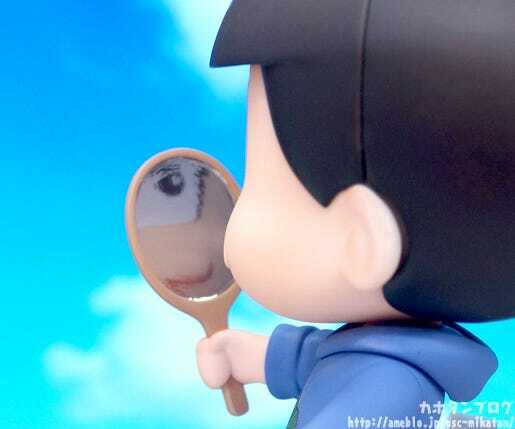 △ Meet his gaze through the mirror! △ He is researching which angle looks the coolest! So cute!! 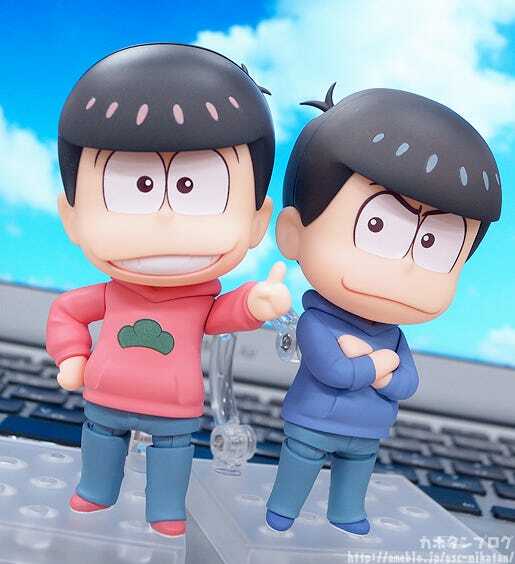 You can see that his hoodie and jeans are quick similar to Osomatsu’s… but the jeans actually have a slightly different sculpt if you look close! 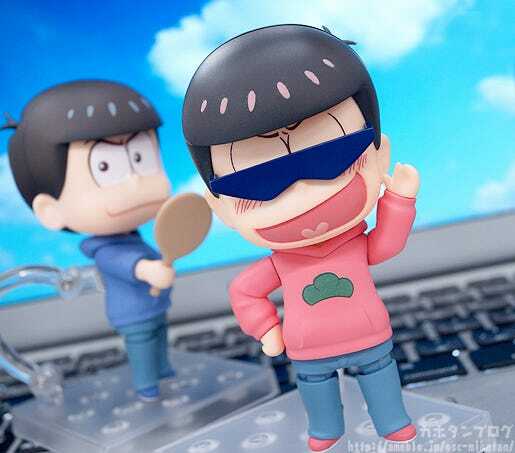 Karamatsu makes use of ‘skinny’ type jeans, so they are sculpted to look slimmer when compared to Osomatsu! 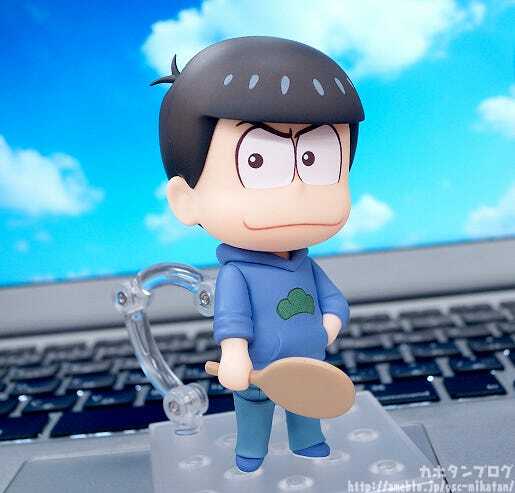 There is clearly a lot more slack around Osomatsu-san’s feet as well when compared with Karamatsu! Along with different expressions and accessories for each of them, the outfit changes will always be more than just color – with each Nendoroid altered to better fit the character’s original design! Be sure to look forward to the other four brothers coming soon!! Anyway, let’s move onto his second expression! 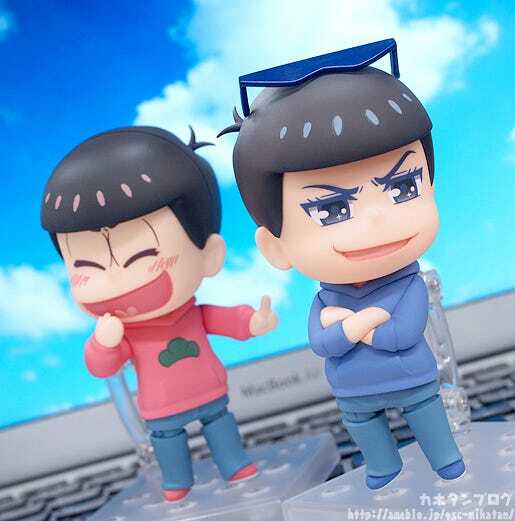 The expressions from Osomatsu-san are quite different to normal anime expressions, but their charm converts into the Nendoroid design really effectively!! The balance of the expression is lovely!! Plus he also comes with another optional part that suits this expression nicely – sunglasses! 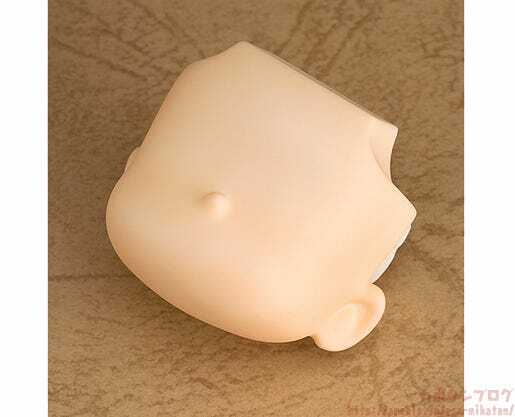 On the actual product the frame will have a clear plastic sheet that can be inserted in between the hair and expression parts to keep the glasses in place! But the fact that you can remove the glasses also means the other brothers can also wear them! Using all the included bent arm and accessory parts allows you to bring together all sorts of poses and situations that bring out his character perfectly! △ Change expressions and create a little story! △ Some should remind you of specific scenes from the series! Add the cute second brother to your collection! 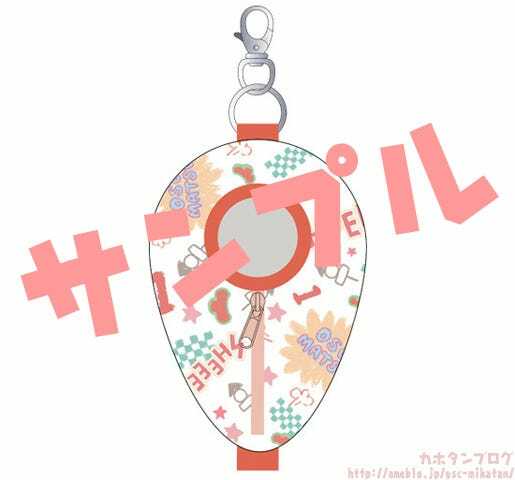 Plus, orders from the GOODSMILE ONLINE SHOP will include a Special Round Base as well as two bonus blank faces!! 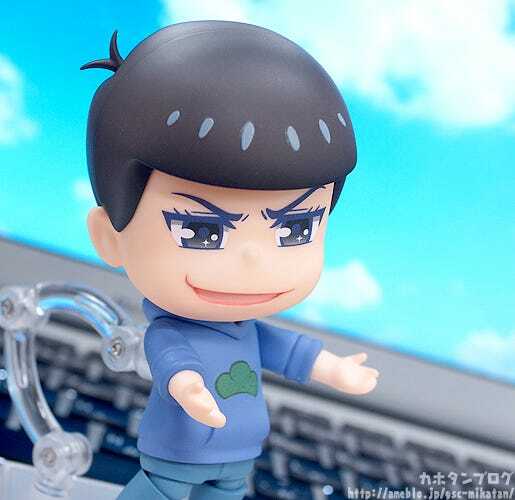 GOODSMILE ONLINE SHOP: Nendoroid Karamatsu Matsuno! △ Lovely expressions to suit the eldest brother! 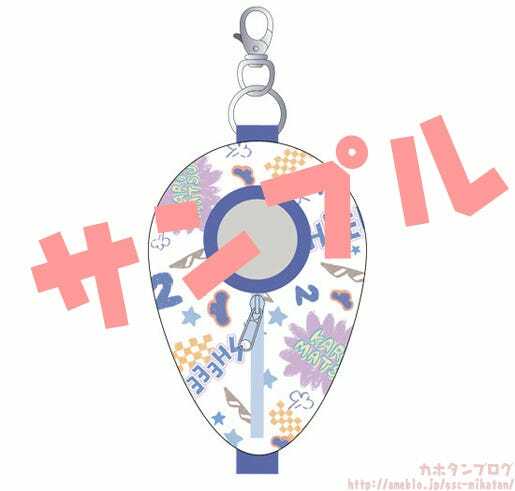 Plus, these Nendoroid Pouches are also available for preorder! 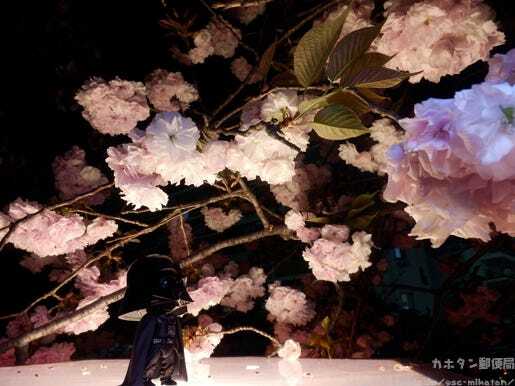 A photo I took while out enjoying the cherry blossoms. They look great no matter the time of day.